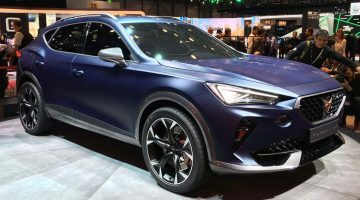 Ford has revealed its all-new Kuga with a full suite of new powertrains and tech to ensure its continued success in the hugely competitive mid-size SUV class. The line-up of rivals, from mainstream and premium brands alike, is formidable with Peugeot’s 3008 both sharply-suited and nice to drive (relatively) and Mazda’s CX-5 an impressive overall package for an SUV. 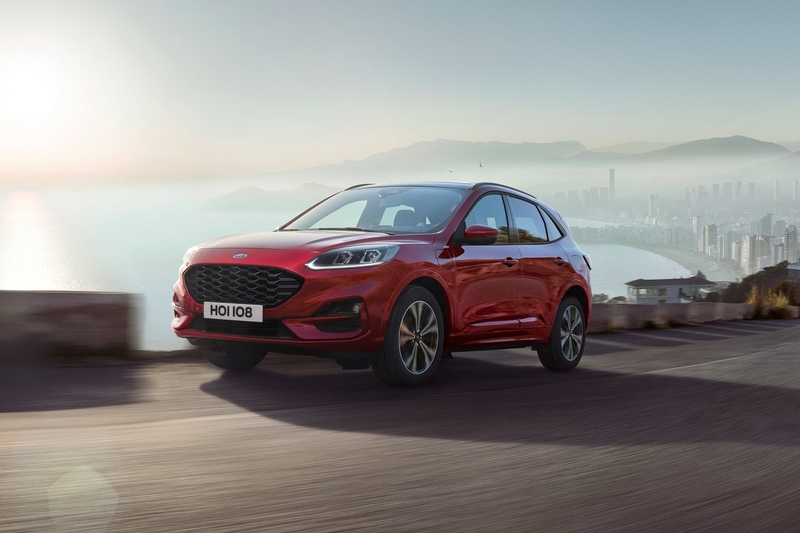 More than ever before, the links between the Ford Kuga and contemporary Focusare clear, as the new model shares both its C2 platform and interior with the family hatch. The new Kuga has grown by 89mm in length (20mm of that in the wheelbase), and is 44mm wider too, for improved shoulder space across the rear seats. Overall, weight is down by up to 90kg across the range, an impressive feat considering the Kuga’s increased size and tech. One of the options when it comes to powering the new Kuga is Ford’s first plug-in hybrid powertrain in the region, the system composed of a 2.5-litre naturally aspirated four-cylinder ‘Atkinson Cycle’ petrol engine paired to an electric motor. 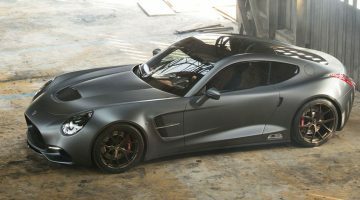 The electric motors are driven from a 14.4 kWh battery pack that is able to be charged from a 230-volt power source in four-hours, and will deliver a pure-electric range of over 50 kilometres on the latest WLTP cycle. Combined engine power is rated at 222bhp, making it – for the moment – the most powerful model in the Kuga range. 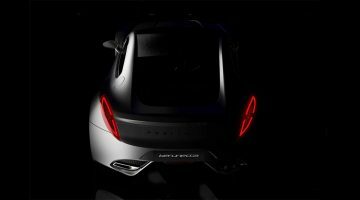 Elsewhere, a traditional parallel hybrid version with the same naturally-aspirated petrol engine will be available without the added weight and expense of the plug-in’s larger battery pack. Here, a small battery pack and motor works to assist the combustion engine rather than powering the car independently. There will also be three diesel-engines, of 1.5- and 2-litre sizes producing 119, 148 and 187bhp respectively. The most powerful 187bhp variant is the same unit that will be found in the upcoming Focus ST EcoBlue diesel, while the middle 148bhp voption incorporates a mild-hybrid 48V system with an integrated generator and starter motor allowing for engine off coasting and start-stop capability. Two 1.5-litre 3-cylinder turbocharged petrols complete the range at launch in 119 and 148bhp forms. This tiered powertrain range will also find its way into future Ford passenger cars and SUVs. As it’s based on the all-new Focus’ C2 platform, we have reason to believe that this new Kuga might well be better to drive than its predecessor too. It also picks up the huge gains in ergonomics and user friendliness first seen in the Focus thanks to a new Focus-derived dash design and layout. A new 12.3-inch digital dial pack, heads-up display and Ford’s latest Sync3 system all help to bring the new Kuga right up to date too. Kuga models will be split into familiar Titanium, ST-line and Vignale trims. Prices and final specifications, as well as timings for each of those new electrified powertrains, will be released closer to the launch date.